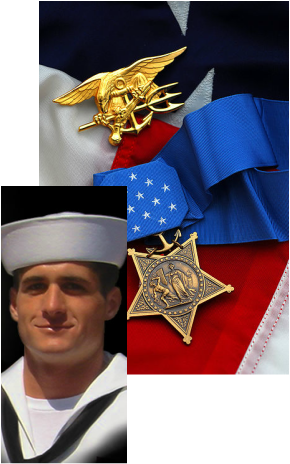 PO2 Mike Monsoor was awarded the "Medal Of Honor" for giving his life in Iraq, as he jumped on, and covered with his body , a live hand grenade, saving lives of a large group of Navy Seals. 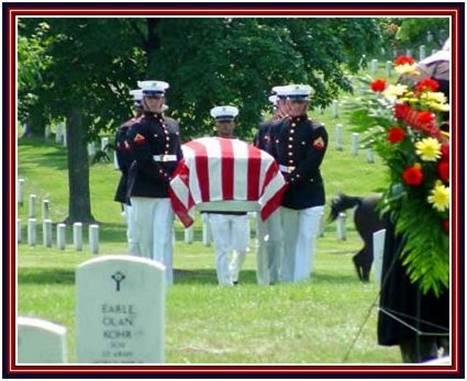 At Ft. Rosencrans National Cemetary, in San Diego, California, the six paulbearers removed the Rosewood Casket from the herse, and lined up on each side of Mike Monsoor's casket. A column of people formed from the herse all the way to the grave site. 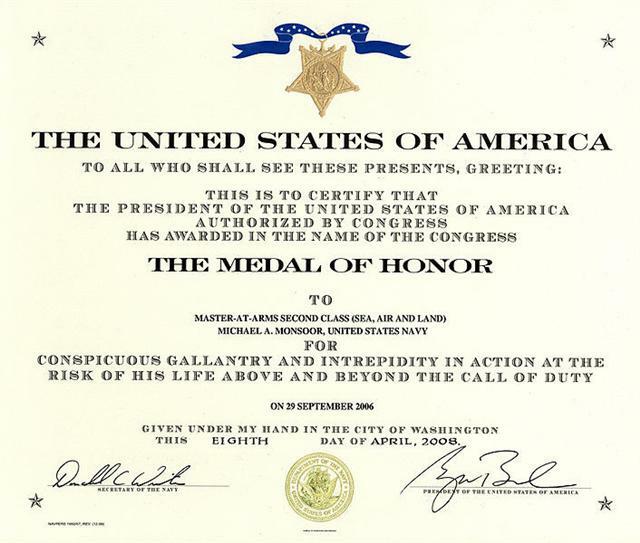 What the group did not know at the time was, every Seal (45 to be exact) that Mike Monsoor saved that day in Iraq was scattered throught-out the column. Everytime the paulbearers carried the Rosewood Casket down the column of people to the grave site, the column would collapse, and form a group of people fowllowing behind. 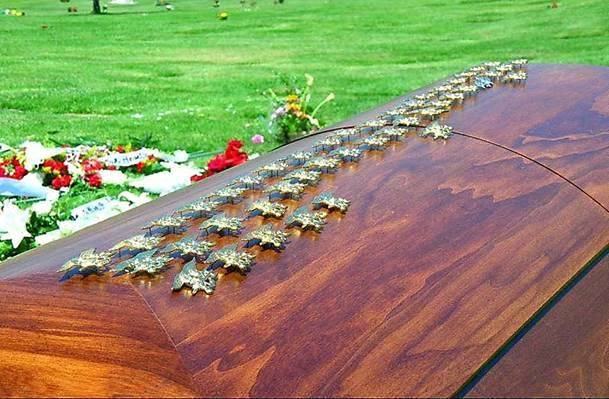 Every time the Rosewood Casket passed a Navy Seal, he would remove the Gold Trident Pin from his uniform and slap it down hard, casusing the Gold Trident Pin to embed itself into the top of the wooden casket. Now for those who do not know what a Trident Pin is, here is the definition. After successful completion trainess are given their enlisted code, and are awarded the Navy Seal Trident Pin. With this Gold Pin they are now officially Navy Seals. 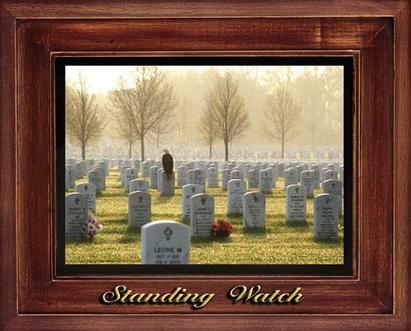 It was said, that you could hear each of the 45 slaps from across the cemetary. 45 Trident Pins that lined the top.